I couldn't find any polish names on the bottles, but the set included a pink, purple, and orange shade. 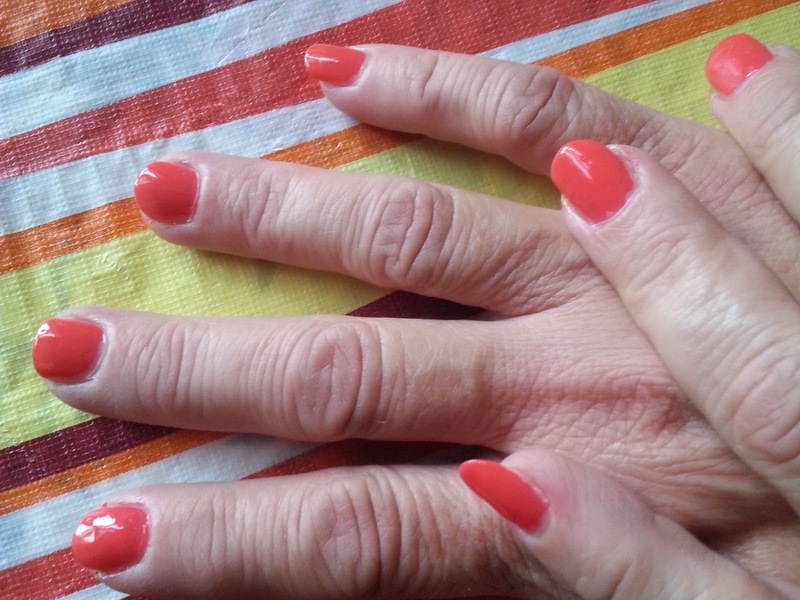 My mom tested out the pink shade, which wasn't as bright as you might expect a summer shade to be. 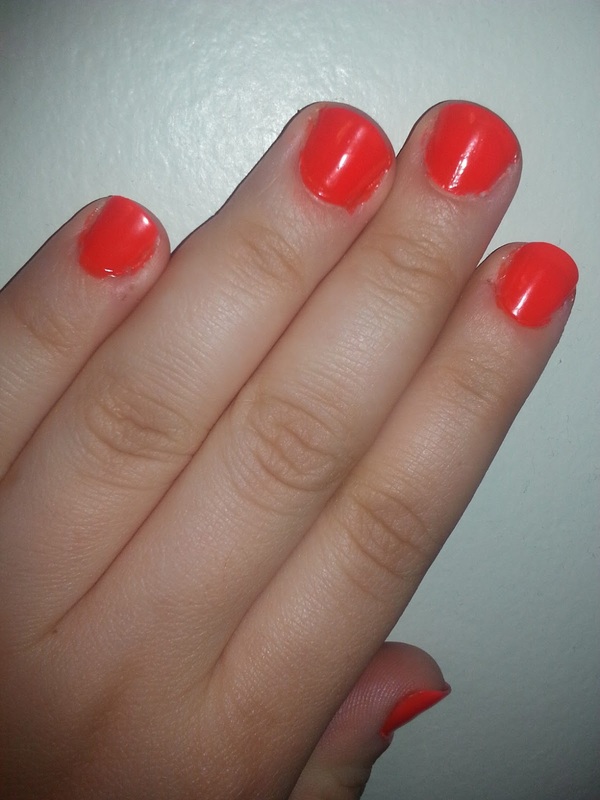 I'm usually a big fan of pink nail polish, but I was a little disappointed with this color. While I thought the color looked nice on her, I'm not particularly thrilled to try it myself. I prefer hot or bright pinks or light pinks with metallic or pearl finishes. I tried the purple shade first and it is my favorite out of the bunch. 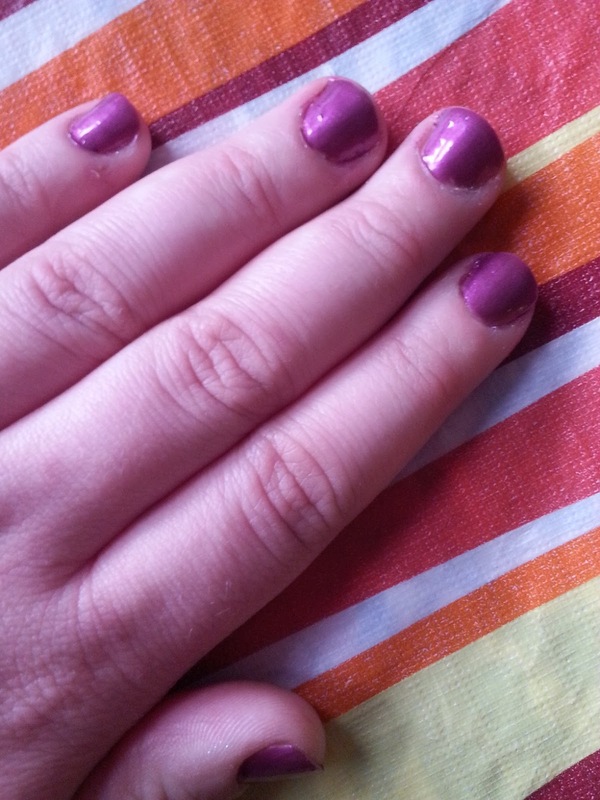 I'm usually drawn to deeper purples, so I was surprised to find I liked this color more than I thought. The application was nice, being very easy to apply. Even though this shade isn't my typical purple, I find it very suiting for summer and would wear again. The orange shade was the brightest of the three colors-it really popped! However, even with multiple coats you could see a visible nail line, so if I'd recommend using underwear with this shade. Even though I wasn't crazy about trying this color since it's not a color I'd typically wear, I feel it's the best summer shade out of the set. Which color is your favorite? Have you ever tried Express nail polish or their other beauty products?